Don’t let the easy prep time fool you – this dish is packed with flavor. 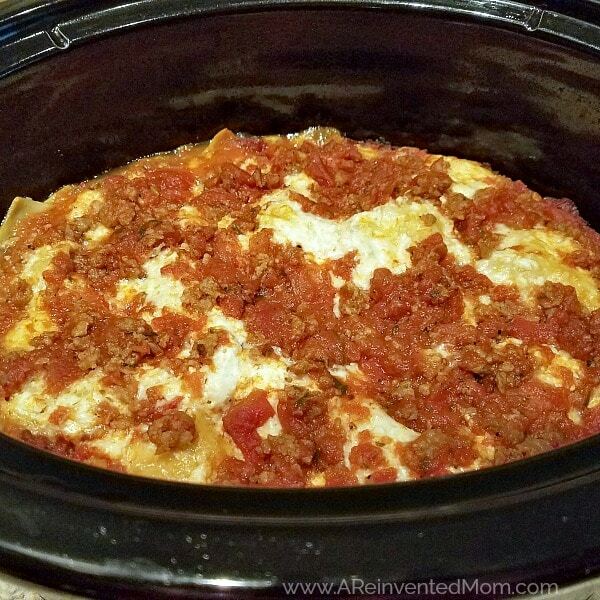 Easy Slow Cooker Lasagna is destined to become a family favorite meal. When you think of comfort food, what comes to mind? Pasta ranks in the Top Five for me. Something about a bowl of warm noodles and sauce gives me all the feels. And bread. Can’t forget the bread. Of all the pasta dishes, lasagna has to be the ultimate comfort food. Layers of tender pasta. A mountain of ooey, gooey cheese paired with a savory red sauce. Perfection. Unfortunately traditional lasagna takes a significant amount of time to prepare. Time I, and most busy moms, don’t have. And let’s not forget about the clean-up – sooo many dirty dishes. I don’t know how things roll in your house, but time intensive meals with big clean-up are usually reserved for special occasions in my home. Times are changing, Friends. You can remove lasagna from the special occasion meal list. That’s right. Lasagna has now moved into the “easy dinner” category. For reals. 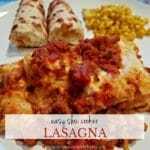 Woot woot for easy lasagna! What if I told you Easy Slow Cooker Lasagna requires just 20 minutes of prep? I can sense your disbelief, but it’s true. The easy prep makes this a good choice for days when time is short. And that’s pretty much every day for most of us. Although the ingredient list may seem lengthy, don’t be put off. Almost half are spices. The remaining ingredients require minimal prep, making this dish a breeze to toss together. While the sausage & sauce mixture simmers, mix up the cheese mixture. And that is the bulk of the prep. But what about the noodles, you ask? We will be using them straight from the box. No need to pre-cook them. All that’s left is to layer the ingredients. And the clean-up? Easy peasy! I personally appreciate that I don’t have to dirty every bowl and pan in my kitchen to feed my family a delicious, homemade meal. 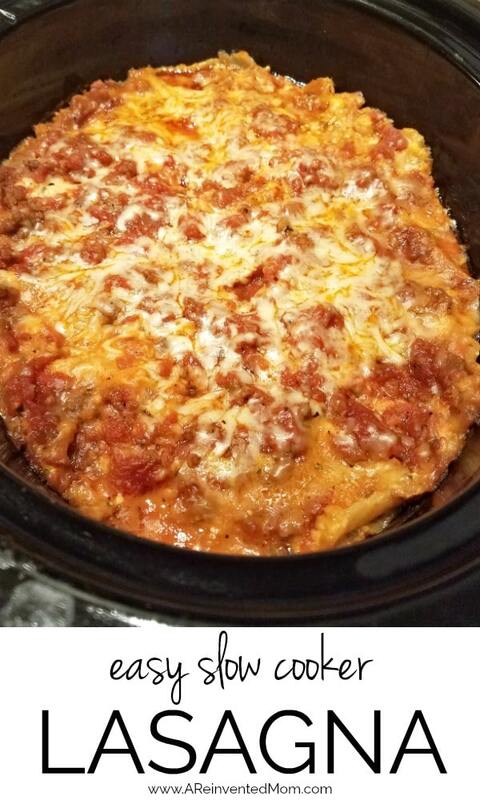 To round out the meal, serve Easy Slow Cooker Lasagna with a veggie. 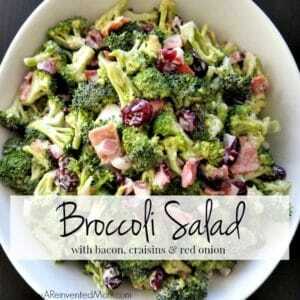 My peeps like roasted broccoli, green beans or corn. 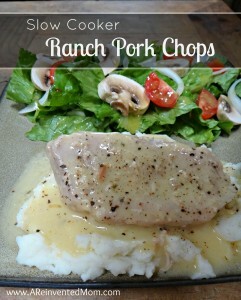 Add a side salad and warm bread and you have a well-rounded meal that took just minutes to prepare. 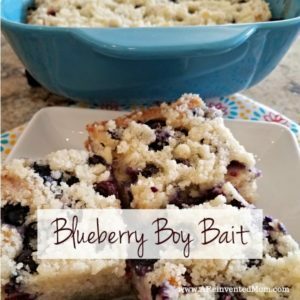 Scroll to the bottom of the post for the full recipe and printable card. This is NOT your typical “set and forget, cook all day” slow cooker recipe. With a cook time in the 3-4 hour-ish range, it’s a good choice if you need to toss something together before running errands, attending soccer or baseball game or just hanging around the house. No need to buy the expensive no boil noodles. I use regular, uncooked lasagna noodles. They cook up nice and tender. And you’ll save a little money. Don’t be chintzy with the non-stick spray. Give your slow cooker insert a really good coating of non-stick spray. Then go around once more for good measure. Use a slow cooker liner for easiest clean-up. Sometimes I prepare the sausage & red sauce component in the morning. All that’s left to do is assemble the dish and start the slow cooker. Take care when lifting the slow cooker lid at the end of the cook time. You want to lift straight up, rather than tilting, to avoid the condensation on the lid from running back into the cooked dish. Keep an eye on the dish around the 3 hour mark. The pasta edges will burn if you cook it too long. Adjust the cooking time for your slow cooker. Mine usually cooks in about 3 1/2 hours. Work Smarter – the right tools can make or break your cooking experience. Chop & stir – I use this tool every time I cook ground meat. Mixing bowl set – a bowl size for every job. Bruschetta Sweet Basil & Oregano seasoning mix – one of my favorite seasoning blends. Check Costco if you want to purchase locally. Slow Cooker – this is the model I have. The “Keep Warm” feature is handy. Slow cooker liners – if you dislike cleaning the slow cooker liner, you NEED these! 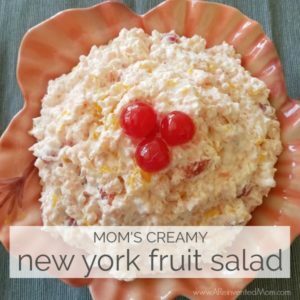 I’ve linked this recipe at: Weekend Potluck. Cook sausage, onion and minced garlic until meat is browned. Drain & remove the grease. Add spaghetti sauce, 1/2 cup water, garlic powder, onion powder to the sausage mixture. Simmer over medium heat for 10 minutes. While the sauce is simmering, mix cottage cheese, 3 1/2 cups Mozzarella cheese, Parmesan cheese, Bruschetta seasoning blend, dried parsley, salt and pepper in a medium bowl. Stir to combine. Prepare your slow cooker by spraying liberally with non-stick cooking spray. Or use a handy Slow Cooker Liner for easiest clean-up. Add ingredients to the slow cooker in the following order: 1/4 meat mixture, 3 uncooked noodles (break as needed to fit the slow cooker) and 1/3 of the cheese mixture. Repeat the layers two more times, ending with the meat mixture. Top with reserved 1/2 cup Mozzarella cheese. Cook on LOW for 3 - 4 hours. Substitute Italian Seasoning blend if you don't have the Bruschetta Sweet Basil & Oregano seasoning blend. I typically do not use salt in this recipe because the sauce, sausage and cheeses provide plenty of sodium. Give it a taste to decide for yourself. Use a slow cooker liner for easy clean-up (no need to use non-stick spray). I don't recommend cooking this recipe on HIGH. Lift the slow cooker lid "straight up" when removing, to avoid having the condensation run back into the cooked dish. Keep an eye on the dish towards the end of the cooking time, to ensure the edges don't burn. Cook time is approximately 3-4 hours. Mine cooks in about 3 1/2 hours. Nutritional information is provided as a reference only. when do I use 1/2 c water? Thanks for catching that! I’ve corrected the recipe card, showing the water is added to the sauce mixture before simmering.